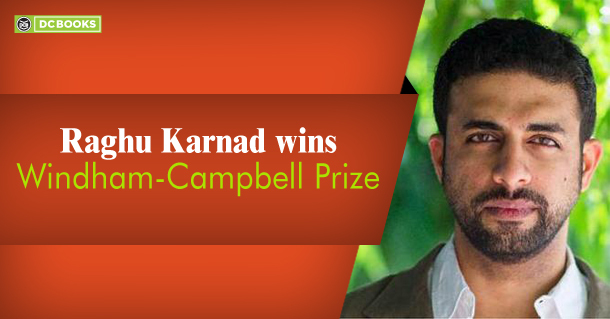 The Indian Author Raghu Karnad receives the Windham Campbell prize in the non-fiction category for his debut novel Farthest Field. Published in 2015, the book documents the story of India’s involvement during the second world war. He is one among the eight who received the awards in different categories. It tells the story of three men from the same family who took part in World War II, one being his grandfather. He has aimed to throw light on an obscure chapter of history with supporting forensic evidence and blending in the right dose of imagination, speaking about colonial and Indian history. The book leaves the reader with a unique trail of emotions overpowering the battles fought. Windham Campbell prize was established by Donald Windham and Sandy M Campbell, two literature enthusiasts to encourage fellow writers. The first set of awards were given in March 2013. The awards don’t involve a submission procedure and are judged anonymously. Each of the winners will receive a cash prize of $1,65,000 each. The other recipients of the awards are: in fiction, Danielle McLaughlin (Ireland) and David Chariandy (Canada); in non-fiction, Rebecca Solnit (United States); in poetry, Ishion Hutchinson (Jamaica) and Kwame Dawes (Ghana/Jamaica/United States); in drama, Young Jean Lee (United States) and Patricia Cornelius (Australia).